A few shirts we bought for Quinn came with velcro patches. 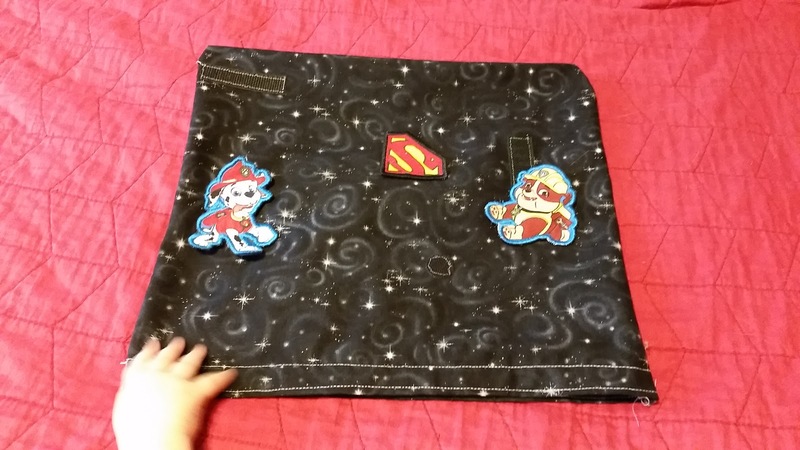 Since he's going to outgrow the shirts but not the patches (probably for several years) I thought I'd sew a quick little square pouch he can put the patches on. So yesterday I put together a roughly one square foot pouch. 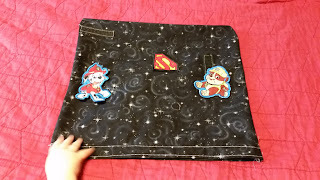 You can stick a board inside of it to make it sturdy, or use it as a holder for patches (or other things) since there's velcro sewed into the lining so it can close. 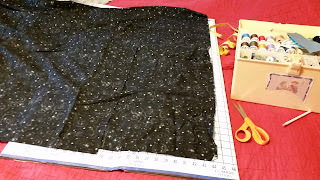 And as you can see on the outside, I've a few areas with velcro sewn in and outlined with light thread to make it easier for Quinn to find. For now he just likes ripping the patches off, but in time I can see him using this more and more.